Adobe Road is proud of its continual success in the industry, but this year has been our most awarded ever. 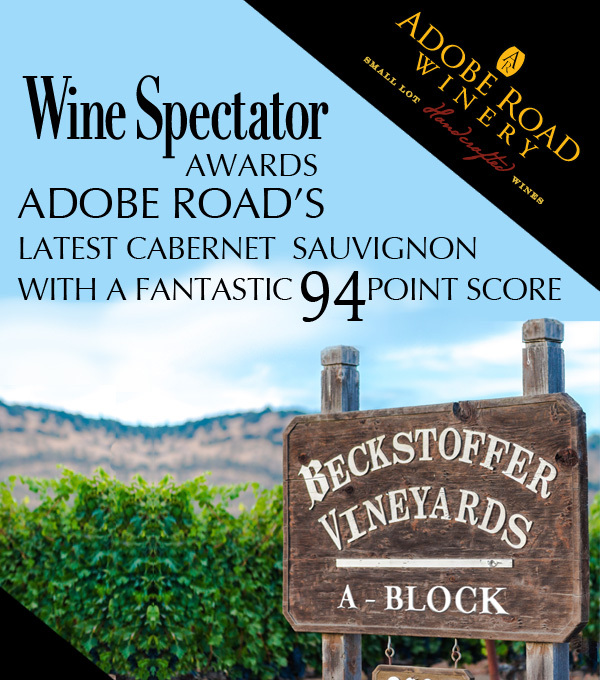 After both the Wine Spectator and the Wine Advocate graced us with 90+ point scores on our 2013 Apex, 2013 Knights Valley, Bavarian Lion Vineyard Cabernet Sauvignon, 2014 Chardonnay, 2013 Syrah, and 2014 Zinfandel, we are now ecstatic to announce that our 2013 Cabernet Sauvignon Napa Valley Beckstoffer Vineyard Georges III-A1 Block was awarded a 94 point rating in the most recent issue of the prestigious wine publication, Wine Spectator Insider. It should come as no surprise that like many of our other wines this bold Napa Cabernet was a labor of pure love, put into a bottle. Here at Adobe Road we know that quality farming, precision winemaking, and stylistic vision all add up to a fantastic bottle of wine! When those efforts are noticed we are always gratified and humbled. 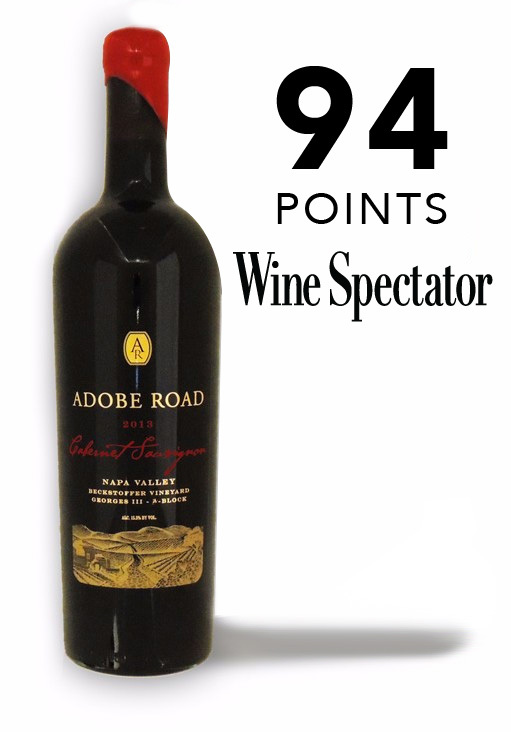 Thank you to the Wine Spectator for noticing all of our fantastic wines – more to come in the near future! These highly revered wines have been seeing exceptional demand. Don’t hesitate to buy any combination of these award winning, limited production vintages before they are sold out.